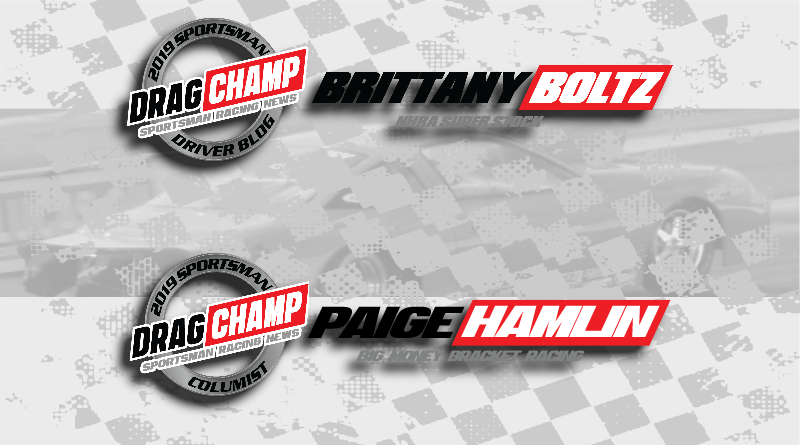 DragChamp expands team with the addition of Super Stock racer Brittany Boltz and South Central Drag Racing operator Paige Hamlin. Brittany and Paige join a team that includes Chase Huffman, Kris Whitfield, and Jeff Lambert. Each month this talented Blog team will bring to life the stories and people that make sportsman drag racing great. New articles will be released throughout the month so visit DragChamp daily to catch the latest blogs. Brittany Boltz, Lancaster, Pennsylvania, currently drives a Super Stock ’91 Pontiac Firebird owned by her father Andy. She first hit the track in 2007 driving a Jr. dragster at 13 years old. Six years later Brittany jumped into her current Super Stock ride competing in NHRA Division 1 events. Brittany has a Bachelor’s Degree in Business Administration with a concentration in Marketing. She applies this education to her business Platinum Promotional Products. Over the course of the year, Brittany will highlight the life of East Coast sportsman racing. Paige Hamlin, Tomball, Texas, is the founder of South Central Drag Racing and Big Check Bracket Racing. Paige grew up around drag racing her entire life. Most weekend’s you’ll find her footbraking her S-10 truck at Admore Dragway if she’s not attending a big dollar bracket race. Her love for the sport shows as she devotes time to promoting events, writing racer articles, and operating her drag racing sites. For 2019, Paige will be attending a number of big dollar races. She will provide blog updates on the racers, promoters, and happenings from those events. With so many great events scheduled for 2019, there should be no shortage of stories. Look for Brittany and Paige at an event near you. Make sure you introduce yourself and let them know you’re following them on DragChamp. For more sportsman racing blogs, click here.